A High Quality 10m 3.5mm to 3.5mm Jack Plug cable. 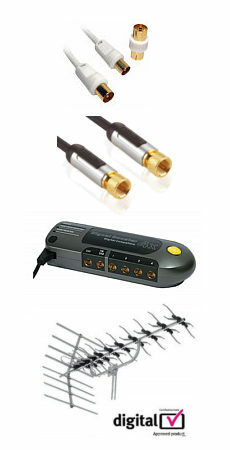 5m XLR plug to 1/4 Inch Jack Plug Cable, stereo (TRS) balanced audio cable. 3 pin XLR plug to 1/4 inch (6.35mm) jack plug. 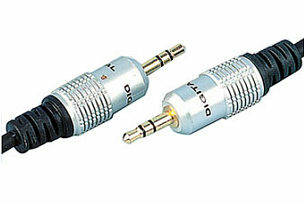 3-pin XLR lead to 1/4 inch jack for stereo TRS applications. Ideal for microphone connections. Features flexible, fully screened cable with pure copper conductors. Length 5 meters. High quality 10m Component Video Cable A high quality Component Video cable, featuring 3 colour coded phono connectors each end. Metal bodied connectors with gold plated contacts. Stereo audio cable 10m, Techlink 680039 Stereo audio cable for connecting input/output of audio sources together. Double shielded non-migratory Oxygen Free Copper conductors throughout. Strain relief adds extra durability when cable is put under extreme conditions and also prevents oxidation. Flexible PVC outer jacket to bend and fit into the tightest of spaces. High quality audiophile reproduction. Aluminium-mylar foil wrap provides enhanced noise rejection. Machined, gold plated RCAs for optimised connectivity and signal transfer. Advanced multiple screening against radio frequency interference (RF). Spring grip outer connectors and split pin centres on each plug ensure a tight, positive contact with both source and display equipment. What Plasma and LCD TV Annual Awards, 2006-2007: Best Cable Brand of the Year 2007.